Scribe’s picture-book list Scribble will begin publishing titles directly into North America in September this year. 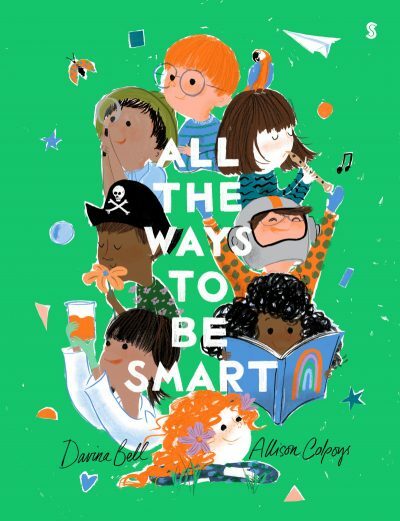 Scribble will launch its North American publishing list with titles All the Ways to be Smart (Davina Bell & Allison Colpoys), Under the Love Umbrella (Davina Bell & Allison Colpoys), Watch This (Jane Godwin, Beci Orpin & Hilary Walker) and Doodle Cat Wears a Cape (Kat Patrick & Lauren Farrell). North American distribution will be through Consortium, and marketing and publicity support will come from Cursor. Bell and Colpoys’ debut picture book, The Underwater Fancy Dress Parade, was published last year in North America by Abrams, under the title Captain Starfish.